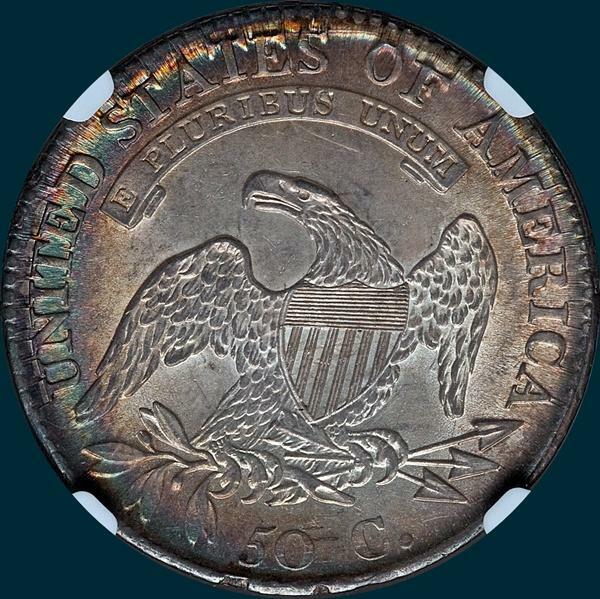 A high in demand overdate with decent higher grade examples rather difficult to come by with most being in collections. The 102a die state may be quite a bit scarcer, like R3? PCGS Graded AU50. 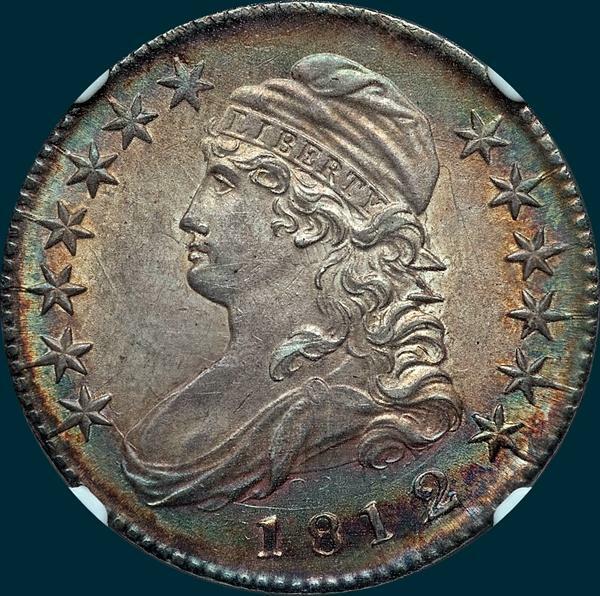 One of those coins that I had to have from Sheridan Downey's MBS 33. Downey Notes: Intermediate die state with full dentils and a clear overdate. (Many of these are abysmally struck.) Medium grey and auburn toning. Soft luster rolls through the fields and devices. This is a perennial favorite among both Red Book and Overton collectors - in the grade most covet. bid accordingly. 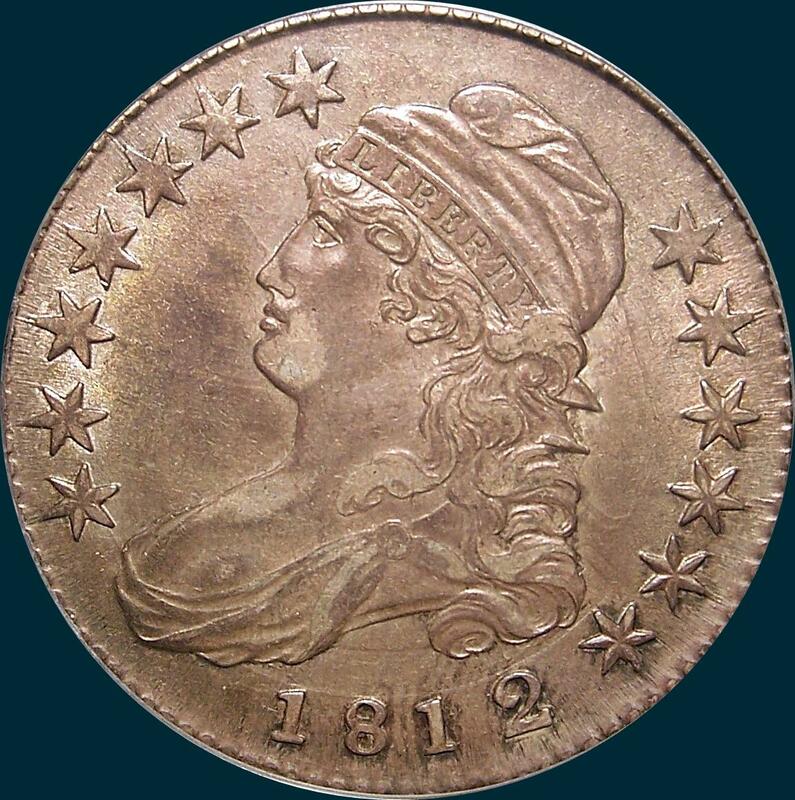 Variety Attribution: Obverse- 1812 over 11. Stars are large and the upper ones at left, are usually but not always flat. Date is 10 mm. with a small 8. About half of the specimens seen exhibit clash marked letters under the bust, etc. This is the only "Small 8" 1812. O-102a: Fine die crack through base of second 1 to stand of the over punched 1. Reverse-50 C. is 2 mm. Arrow to A is 1/2 mm. AM joined at base and A is higher. N in UNITED is recut near right base. 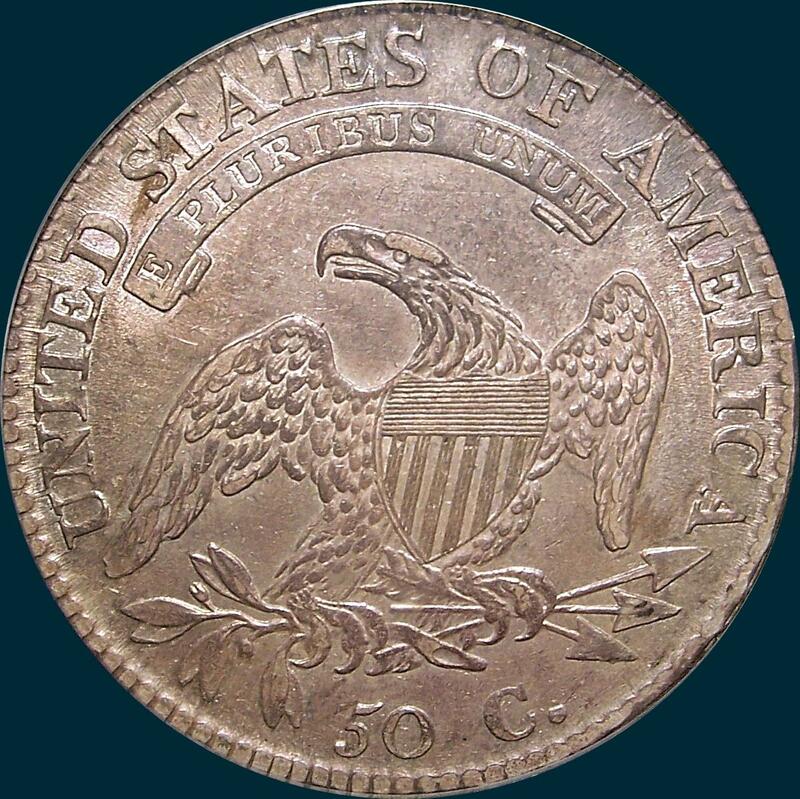 According to Edgar Souders, he estimates that the projected mintage for this overdate is approximately 325,612. Get his book Bust Half Fever and read all about overdates and how he came up with the number! This number includes both the RARE Large 8 and Small 8 varieties.